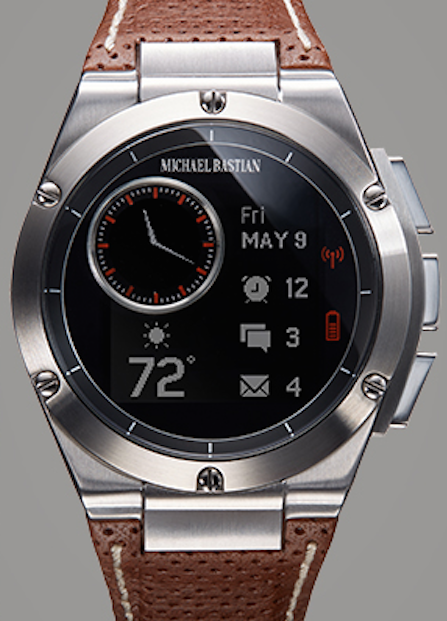 We write a lot about wearable technology here but we particularly like this smart watch, the result of a collaboration between Hewlett Packard and menswear designer Michael Bastian, for its subtlety and the fact that it does not immediately hit you over the head with what it is. If you're not the kind of person wants your wrist-action to be the immediate talking point of your outfit, this may be the device for you. The MB Chronowing and MB Chronowing Black (not pictured) has a round face, an inset dial that looks like an analog watch and interchangeable bands. The two limited-edition watches keep their wearer connected to text, e-mail, music, appointments and more with the simple touch of a button. As the watches are intended to be a link, and not a replacement for a phone, many extraneous features have been eliminated. This makes the experience and function of the watch more intuitive and streamlined.